Mumbai, October 10, 2018 (Team Online News India): Dance+, the popular dance show returns with its 4th season. This season, the popular dance show showcases not just India’s brightest dancing talents, creating magic on stage, but also celebrates their ‘team-mates’, who have been with them in this journey, every step of the way. 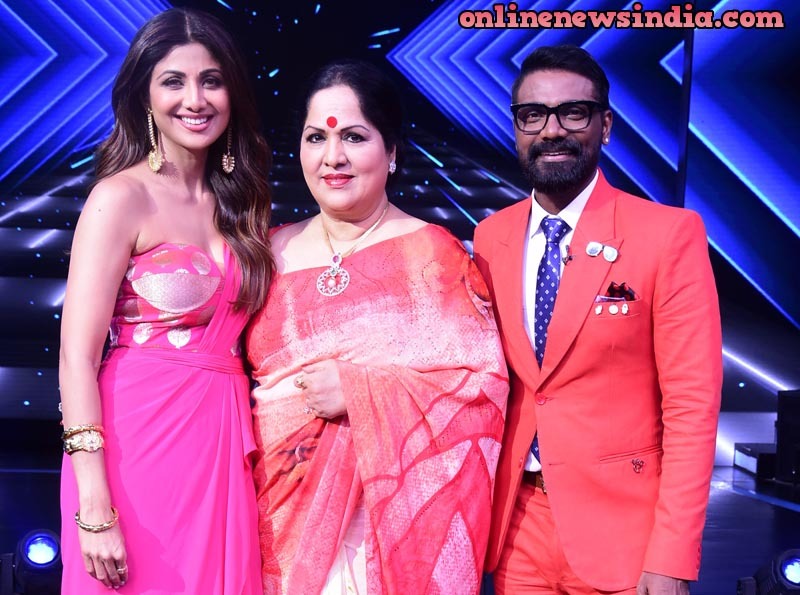 A shining example of this thought actor Shilpa Shetty along with her mother Sunanda Shetty made an appearance as a special guest for the mega auditions shoot on Dance+4. Shilpa shared that her mother is usually reluctant to come on the television shows but she made an exception this time as she follows Dance+ and that’s the reason she agreed upon instantly to appear on this show with her. An overwhelmed Shilpa mentioned that her mother is her Plus as she has made lots of sacrifices for her and put her life on hold & put Shilpa’s dreams ahead of her. When she started working in Bolllywood, her father posed one condition that her mother has to accompany her for the shoots so her mother left her job and supported Shilpa in her full capacity. Dancing Diva expressed her gratitude for her mother saying, “My mother is my Plus to the power of infinity and thanks Dance+ for bringing us together and creating this memory which will last with me forever as it’s a first time my mother is sitting with me on any television show. People has seen my success and not my struggle and it was my mother who stood like a pillar of strength. My mother has set the benchmark so high for her to follow-from juggling everything during their childhood days with so much ease, from helping her father, doing household chores, concentrating on both the sisters education and good upbringing and that too without any help and If she could be half as good as her then she will be the happiest. Whenever I have felt low in life, my mother has encouraged me by saying that I am a born survivor (Sunanda Shetty faced complications while she was pregnant with Shilpa where doctors said she won’t survive) and if you can survive this, you can survive anything in life!" Sunanda Shetty says, “Shilpa is destiny’s child and she has put in tremendous efforts in whatever she has achieved today and she has made her parents proud. She is the best child a parent could ask for. She has grown by leaps and bounds. From being a perfect wife to a hands on mother to fulfilling her work commitments and passion, Shilpa multitasks impeccably!"